101.1 Radio Roatan was the brainchild of self-made businessman John William Crisp and his partner John Morris. Crisp, who lives on Roatan. recognized the need for a radio station that could provide entertainment and information to the large English-speaking population of the island as well as help businesses reach consumers. Crisp eventually realized that to recognize his vision, what was needed was a professional approach to broadcasting here that could provide a solid business product as well as an artful, thoughtful approach to cross the multi-cultural boundaries and benefit the entire island. In late 2014, he found that person in Keith “Madison” Miller. Miller assumed control of the operation in 2015. 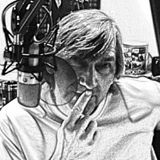 Keith Miller is a lifelong broadcaster having been in radio his entire professional career. He comes from the product side of the radio business. He has been a program director, a morning show host, and an award-winning jingle producer. He spent the last 25 years of that career in San Diego, California. San Diego is the eighth largest city in the United States. Keith arrived in San Diego by way of Santa Barbara, California, where he had been a radio show host and production director responsible for writing and producing commercials when he was hired to move to San Diego. During that time, Keith was responsible for selection and programming of music, audience and music research, and developing promotional plans for the radio station and it’s sales force. When Gannett decided to sell its properties in San Diego during the mass consolidation of the US radio industry in 1995, Keith found his way to the only locally owned radio station in San Diego. The radio station, owned by Robert John Hughes and Jonathan Schwartz, is to this day the only locally owned radio station left in a city where it stands toe-to-toe with much larger corporate-owned stations. While at KPRi, Keith wore many hats. He was a salesperson working directly with clients, he wrote, voiced and produced commercials as a production director, he developed the radio station’s websites, was involved with implementing their first database marketing and listener club, and eventually became their first and only VP of Marketing. His legacy will be that from 1997 until 2014, he was the morning show host of 102.1 KPRi. He was on the air the morning of September 11th, 2001 when the entire world was stunned with the events that transpired in New York City. He also developed some very successful programs with the radio station and its clients. As radio stations moved from analog to digital, Keith worked directly with the engineers developing a solid understanding of modern radio automation systems. That helped make KPRi competitive and will help make 101.1 on Roatan capable of being an efficient operation. The road wasn’t always smooth at a locally owned radio station in a major US media market. Is there anything Keith misses about San Diego… ? Heard the news about your move to Roatan! Thanks for all you did for Bayou Brothers in San Diego and myself! Hope your having great time out there. I love Central America and the caribbean! Maybe I will see ya there sometime as I love to travel. Stay in touch OK? Following the Drunken Fish… and other thoughts for the day.